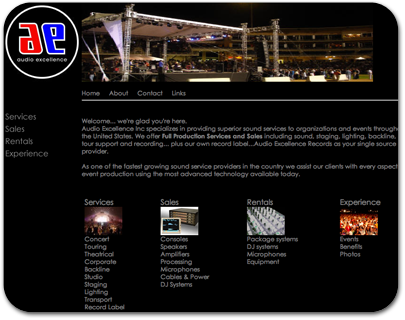 About: Audio Excellence Inc specializes in providing superior sound services to organizations and events throughout the United States. Job Responsibilities: Client wanted to refresh the look of their website. We added a simple flashy header, clear navigation, and a photo gallery.